Our board sent a list of questions to Mayor Kevin Faulconer, and mayoral candidates Ed Harris and Lori Saldaña who are running to be the Mayor of the city of San Diego. We will be posting their responses here. 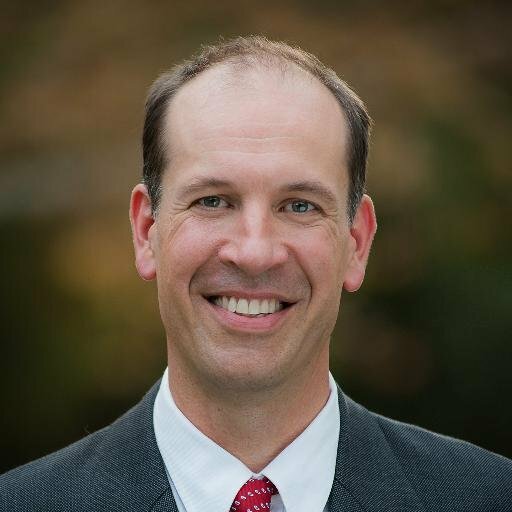 Below is mayoral candidate Ed Harris' responses to our questions. Candidate Lori Saldaña declined to respond to our questionaire as her campaign didn't have the staff capacity. Mayoral candidate Ed Harris. Image via Harris' website. 1. Thanks to your support, San Diego is now a Vision Zero city and we are well on our way to fully implementing our city’s Master Bicycle Plan, yet we still aren’t a world – class city for bicycling – an activity that has multiplier effects on our economic, societal health and social cohesiveness. One of the biggest barriers to safe cycling and walking are the high speed differentials on our city streets. Recently, Cities, including Boston and New York City have lowered the city speed limits. Would you be willing to sponsor and support state legislation to allow for speed limits on city streets to be less than 25 mph? Most definitely. The speed law trap needs to be addressed, and policy at the state level needs to be changed to protect our neighborhoods and facilitate more walkable and bikeable communities. There is an issue with the current 85% speed determination. Twenty is plenty! We should be actively addressing that issue, instead of simply saying “We support biking” and then doing nothing as a government to move that support into action. We can tackle safety issues from multiple angles. First, we need to advocate for reducing the speed of vehicles traveling through neighborhoods. Second, we should be advocating for more bike boulevards in neighborhoods, especially those that do not currently have last-mile access to mass transit. Third, I will advocate for stricter legislation towards DUI offenders and distracted drivers, because our current system does not deter offenders enough, and it keeps cyclists in a precarious environment on our roads. I also am in support of the vision zero corridors that aim to keep cyclists safe, so the decision to bike as a form of transit is not limited by the fear of being struck by a vehicle. 2) San Diego is a large and geographically diverse city. Another barrier to safe walking and cycling are the last mile gaps - the missing safe connectivity to bike and transit infrastructure. Land use decisions cause the last mile of trips to intersect with uninviting high speed roads for transit users and bicyclists. How will you work to ensure that Caltrans and SANDAG to invest the funds necessary to minimize and eliminate these last mile gaps as the designated representative on SANDAG board? As Mayor, I would represent San Diego at SANDAG, and I would install the resources we need as a city within the mayor’s office to move forward towards alternative transit. There are numerous tangible changes we can make as a city to move us towards a bike-friendly city. First, I will establish a transportation (or Mobility) commissioner, like Janette Sadik-Khan, who is fully committed to tackling transit issues within the city. This would be a position that can own the decisions we make towards a bike friendly city, and it would be a position of accountability, so we can actually get things moving forward. Currently we have separate departments working on oversight (Stormwater dept, etc). Second, I will have a city staff engineer work specifically and directly with CalTrans and SANDAG to work on projects, and seeing them through. We must thing BIG about these issues. Without staff that can be directly accountable for transit decisions being put into action, it is too easy to pass the blame and delay progress. Caltrans is a huge stakeholder for San Diego to become a world class bike friendly city. The highway interchanges present many missing links of our current bike network and are the most challenging and dangerous areas for active commuters. The most dangerous are those highway interchanges that have extremely fast vehicular speeds. As San Diego is making strides to re-purpose streets after they are resurfaced, the city is missing the opportunity to not have those bike lanes continue through Caltrans row. Bike lanes are being discontinued as they hit Caltrans row and the long process to get approval for paint treatment on Caltrans row is timely and takes allocating staff members to see it through. This is where a city staff engineer would be able to focus on these issues and move the repurposing efforts forward. As new bike corridors (like Adams) are being constructed, we must collaborate with Caltrans to provide for safe access after a rider exits the corridor paths. Having dedicated city staff that focus solely on mobility and transit would also allow for newer safer access to trolley stations like the Midcoast trolley, and others that lack safe access to the trolley via bike. SANDAG is also an extremely important agency. To move SD forward, we need to commit to the goals of innovative mobility, healthy communities, and a vibrant economy. Bikes mean business and can help support the three SANDAG goals. As mayor, I will provide San Diego with a strong voice for San Diego to change the direction that SANDAG continues to default to. I suggest that we re-look at funding for infrastructure and start implementing our bike networks now, along with the current potential we have for mass transit avenues and last-mile routes through neighborhoods. Big transit projects do cost money, but we can get there. We get there by stopping the typical measures we continue to see (ones that only address the short-term), and change the way SANDAG and the City of San Diego does business. SANDAG should be responsible for implementing complete streets and should be able to design mobility hubs for the new proposed stations (Balboa Park and Clairemont). 3) Too often, our local schools prioritize vehicle drop offs rather than encouraging school children to ride, walk or skateboard to school. How do you intend to encourage more kids to get to school by foot, on a bicycle or other non-automobile means as mayor? This answer is easy for me to approach, because I have seen the potential for alternative commutes to school first hand. My son Brian was a part of a Dana Middle Bike to school group, and I believe that with city support, programs like this can be created, and existing programs can be vastly improved. The primary issue with our children biking, walking, or skateboarding to work is safety. As a parent, I understand the concerns families have with allowing their children to share the road with dangerous drivers who are commuting to work. We need Safe Routes to Schools for every school in San Diego. If we can provide safe and comfortable access to neighborhood schools, then we will have a great bike network in San Diego. Because safety comes first, we need to prioritize safer routes to neighborhood schools. If bikeways are safe, riders will ride them. To start, there should be protected bike lanes feeding into all avenues of our city schools. Additionally, I will advocate for, and see through the implementation of, more protected crosswalks at schools, like I did while I was a councilmember in District 2. Once safety is addressed, I would encourage our city schools to fund and implement a bicycle education program at the 4th grade level, where our children begin to develop the personal abilities and capacity to bike to school. If we educate children at a young age about the health and environmental benefits of biking to school, we can widely change the way our society views transportation. I would work with the school district to implement education for every 4th grade class, which would fall into the Wellness Initiative that has a tremendous amount of support. 4) As mayor you will be responsible for appointing the second city representative to the SANDAG board. This appointment will influence whether the city meets goals of the Climate Action Plan, Bicycle Master Plan, and the state policy SB 743. What qualifications will this individual have that would make them the ideal candidate to vote on planning and transportation decisions? Like I mentioned in question #2, I would have a representative that is dedicated 100% to transit and mobility. This person would be a strong, bold, inspiring advocate with a vision to make San Diego a world-class bicycle city—a Janette Sadik-Khan of San Diego. This person would be one that is willing to fight for safety, healthy residents, and a sustainable future. That person would be knowledgeable of the current conditions in San Diego, and would be a user him/herself of the bicycle network in San Diego. San Diego is large and diverse. 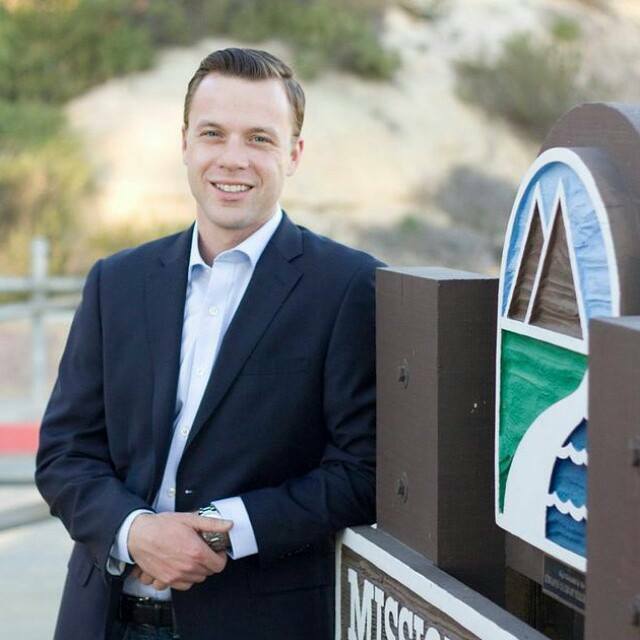 Every community, from Rancho Bernardo to San Ysidro, has its own needs. To approach these issues, that commissioner would need to collaborate with local advocacy groups. By doing this, we can work with groups to address Vision Zero and how it relates to the goals set forth in the climate action plan. Additionally, Disadvantaged communities have had freeways destroy their neighborhoods, so we must address the issues with equitable priority. 5) San Diego’s parking districts encompass some of San Diego’s densest communities that include Downtown, La Jolla, Mid-City, Old Town, Pacific Beach, and Uptown. Does the city have an obligation to provide curbside parking for residents? How should the city regulate the public space devoted to car storage? What changes do you believe are needed in the city’s current curbside parking rates and policies? Should a bikeway project be built even if it causes a net loss of curbside parking spaces? Curbside parking is a use of public space, so it is time we go to the table with the interested parties and address the amount of space we dedicate for parking. Parking cannot be the only reason for not providing cyclists with protected bike lanes or facilities. I understand the needs for parking, so it would be naïve to promise to do away with it. However, as we tackle our infrastructural needs with roads, we can be re-allocating and re-thinking our priorities towards making San Diego a place that will function in 10, 20, and 50 years. I am not opposed to alternative parking projects, instead of parallel (angled parking, parking structures where it is necessary). I do not think all drivers are going to get out of their cars and get on a bike, but with a leader who makes these things a priority, there will be a shift in momentum and public understanding for projects that will get us to where we need to be. We must all understand that protected bike lanes provide for more access to a greater amount of people. This is going to be necessary to implement in the future, so it is time we begin the conversation, and start moving forward. With protected bike lanes, businesses are visible, and the fight over a few parking spaces becomes less necessary. In doing so, we must initiate Collaboration between MTS and bike share to create last mile transit from transit & mobility hubs… Last mile is the most difficult, & that is perfect for it. There is plenty of brainpower and willingness behind an effort to move SD in a bike friendly direction. We just need a leader who is dedicated to putting the right people in the positions to start moving this city forward. BikeSD Inc, is a 501(c)(4) California corporation. Our Endorsement Policy is available for you to read here. Please consider becoming a member or renewing your support so that we can elect strong leaders that will implement our vision in office. Our endorsement for mayor will be posted later this week. Our board sent a list of questions to Mayor Kevin Faulconer, and mayoral candidates Ed Harris and Lori Saldaña who are running to be the Mayor of the city of San Diego. We will be posting their responses here. 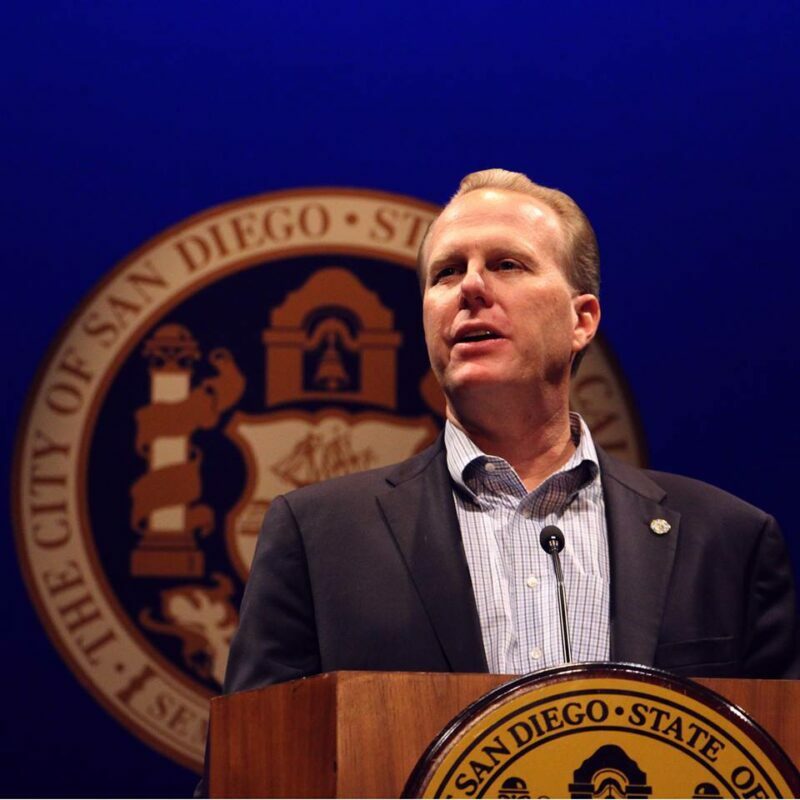 Below is Mayor Faulconer's responses to our questions. Mayor Kevin Faulconer. Image via his Facebook page. 1. Thanks to your support, San Diego is now a Vision Zero city and we are well on our way to fully implementing our city’s Master Bicycle Plan, yet we still aren’t a world - class city for bicycling - an activity that has multiplier effects on our economic, societal health and social cohesiveness. One of the biggest barriers to safe cycling and walking are the high speed differentials on our city streets. Recently, Cities, including Boston and New York City have lowered the city speed limits. Would you be willing to sponsor and support state legislation to allow for speed limits on city streets to be less than 25 mph? Creating a safe, inviting, viable environment for bicyclists is key to implementing the City’s Climate Action Plan and Bike Master Plan. To achieve the Climate Action Plan’s bike mode share goals, I will evaluate and consider proposals to make biking safer, including allowing speeds of less than 25 miles per hour on some local streets. However, I am not waiting for state legislation to calm traffic and increase bike safety. As a cyclist, I know first hand that large speed differentials can make our streets feel unsafe for riders. Under my direction, the City is actively working on many vehicle speed reduction measures to help increase safety for bicyclists. Examples include lane diets/road diets, raised intersections/crosswalks, high visibility crosswalks, and upgraded traffic control devices and signage such as vehicle speed feedback signs. For instance, in November 2014 I directed the City’s transportation department to implement road diets and buffered bike lanes on Fourth and Fifth Avenues north of Laurel Street. In February 2015 I created a citywide policy of installing high-visibility continental crosswalks at all signalized intersections. In fiscal year 2015 I proposed and programmed $1.5 million for citywide traffic calming measures. I am committed to expanding on these traffic calming initiatives during my second term, and would be happy to meet with BikeSD to learn more about state legislation which could further assist our City efforts. 2. San Diego is a large and geographically diverse city. Another barrier to safe walking and cycling are the last mile gaps - the missing safe connectivity to bike and transit infrastructure. Land use decisions cause the last mile of trips to intersect with uninviting high speed roads for transit users and bicyclists. How will you work to ensure that Caltrans and SANDAG to invest the funds necessary to minimize and eliminate these last mile gaps as the designated representative on SANDAG board? I am committed to increasing multi-modal transportation connectivity and closing first mile/last mile gaps that stand in the way of greater adoption of bicycle and mass transit use. I look forward to continuing to work together with transportation agencies such as SANDAG, Caltrans and MTS to implement connectivity programs. I am taking a lead role on this issue at our partner agencies, not just as a City representative but also by maintaining close cooperation with agency leadership and staff to secure funding and implement projects. For example, I added a land use component to the Climate Action Plan and then directed my senior staff to meet with SANDAG to determine how transportation modeling could be better utilized in community plan updates. Also, under my policy guidance, City staff coordinated with SANDAG to expand the car share pilot program to add additional providers and broaden the geographic reach, which assists with closing the last mile gap. Additionally, my staff works closely with SANDAG senior staff on state and federal legislative priorities which helps with securing funding for San Diego multi-modal connectivity projects. 3. Too often, our local schools prioritize vehicle drop offs rather than encouraging school children to ride, walk or skateboard to school. How do you intend to encourage more kids to get to school by foot, on a bicycle or other non-automobile means as mayor? An important component of a healthy, livable community is neighborhood infrastructure that encourages children to safely walk or bike to school. This contributes to improved public health, brings neighborhoods together, reduces vehicle miles traveled and pollution, and instills active transportation habits in children that can last a lifetime. As Mayor, I will continue to pursue initiatives which encourage more children to walk or bike to school. Infrastructure is the foundation of a safe network of pedestrian and bike facilities so children can walk or ride to school, which is one reason why I am upgrading our pedestrian and bike infrastructure in tandem with my infrastructure initiatives. I directed 50 percent of all General Fund major revenue growth toward infrastructure, streets and sidewalks–resulting in an additional $63 million for our neighborhoods since taking office–and I doubled the miles of roads repaired annually to more than 300 to further my goal of fixing 1,000 miles of streets over five years. As this occurs, I am ensuring that the right-of-way is repurposed for bikes and pedestrians, not just autos. For example, before starting my 1,000 miles of repair initiative I created a citywide policy and added funding to install high visibility continental crosswalks at all signalized intersections. This ensured that as each road is resurfaced or slurry sealed, crosswalks are upgraded and automobile limit lines are pushed back, which makes it safer for children to cross the street. For unsignalized intersections, I updated Council Policy 200-7 to make it easier to install crosswalks there and I am accelerating installation of rectangular rapid flashing beacons to further create safe routes to school at unmarked crossings. Also important to providing a safe route to school is bike infrastructure. I implemented procedures and additional active transportation staff to review resurfacing projects for Bike Master Plan consistency to take full advantage of the additional investments I directed toward infrastructure. Due to this delivery method, over the last two years the City has already undergone dramatic change in its bike infrastructure and I will continue this accelerating improvement over the next four years. I am also collaborating with SANDAG to secure additional grant funding for safe routes to school projects in furtherance of the Safe Routes to School Strategic Plan. In addition to these short-to medium-term initiatives, I am working on long-term planning programs to make our city smarter and more livable, which will make it easier for children to walk and bike to school. For example, I have updated four community plans since taking office, ten are currently in process, and I recently added two more to the Planning Department’s two-year work plan. In contrast, just two community plans were updated in the previous ten years before I took office. As these community plans are updated, their mobility elements are also refreshed to reflect multi-modal planning principles and be consistent with recent initiatives such as the Climate Action Plan and Bike Master Plan. Ultimately, this effort will result in more residents living within biking and walking distance to schools. I am also focused on public safety enhancements, which are key to providing parents the level of comfort needed to allow their children to walk or bike to school. For example, I negotiated a five-year agreement with police to address recruitment and retention challenges and fully-funded four police academies, increasing the class size of each by over 20 percent. I also improved emergency response times, with a major focus on underserved communities. My public safety initiatives also include enforcement of equal right to use roadways and of traffic violations by both bicyclists and motorists, and additional efforts to reduce bike thefts. 4. As mayor you will be responsible for appointing the second city representative to the SANDAG board. This appointment will influence whether the city meets goals of the Climate Action Plan, Bicycle Master Plan, and the state policy SB 743. What qualifications will this individual have that would make them the ideal candidate to vote on planning and transportation decisions? I will work together with the City Council to ensure that the City is well represented on the SANDAG board by someone who will be a strong voice for all modes of transportation and will advocate for additional funding and full implementation of the City’s policy documents such as the Climate Action Plan, Bike Master Plan, and General Plan City of Villages Strategy. Also important is that the representative share my beliefs that infrastructure is a top priority, and that active transportation projects promote healthy living, reduce pollution, and bring neighborhoods together. 5. San Diego’s parking districts encompass some of San Diego’s densest communities that include Downtown, La Jolla, Mid-City, Old Town, Pacific Beach, and Uptown. Do you believe curbside parking rates in San Diego’s parking districts are at, above or below market rates (i.e., rates high enough so that supply and demand are near equilibrium)? Do you believe curbside parking space should be made available at market rates, or at below-market, subsidized rates? What changes do you believe are needed in the city’s current curbside parking rates and policies? In my second term, I look forward to continuing to improve the City’s parking management and review pricing models to best achieve our multi-modal transportation goals. Our board sent questionaires to candidates running for city council and we will be posting their responses here. Justin DeCesare is running against Scott Sherman (who didn't return our questionaire) to represent City Council District 7. 1) How do you envision the growth of cycling in San Diego ­ be it for transportation, recreation, or otherwise? Do you see cycling as a community builder? Cycling opportunities should be promoted for both transportation and recreation. If we can provide a safer cycling experience (protected bike lanes, better education, enforcement) and convenience (bicycle parking, bikesharing), we make cycling a more viable option. Our streets and highways become less congested. Bike trails relieve the burden of automobiles on our parks and natural areas, while simultaneously enhancing access by connecting them to each other and our neighborhoods. It’s good for the environment and it creates great opportunities to socialize and stay healthy. The majority of accidents occur at fewer than ten sites around the city. While none of these are in District Seven, efforts should focus on these sites. In D7, we need to take a close look at Grantville, Mission Valley, and Mission Gorge Road where we already have bicycle traffic. Our population is growing fast, so traffic and construction will continue to be the norm. The need for compact mixed use development highlights the importance of educating drivers and enforcing safe interaction on the road. 3) Given the myriad of competing interests in D7 neighborhoods, how will you handle individuals and groups, alike, whose interests and actions run counter to the City’s transportation and street design goals as laid out in the Climate Action Plan, and Vision Zero initiative? It’s important to have an open door, operate transparently, and be present in the community. Our Councilmembers should be spending more time in our neighborhoods where things are happening. The city has stated goals for a reason and policy should be geared toward achieving them. It’s worth mentioning that during my term as President of the Tierrasanta Town Council, we were the first to fully implement the CAP. 4) Multiple studies have shown that increased bicycle accessibility, is good for local businesses ­ and that this even holds true when on­street parking is reduced. How can the information gap between advocates and businesses be bridged to advance our common interests of safe, thriving neighborhoods? Further, at which point do you say to those who refuse to engage as responsible and reasonable partners in the community’s progress, that the cycle of arguments must end so we may act for the common good? I fundamentally disagree with Coronado’s decision to make biking access more difficult, especially in a location that is prime for manual transportation. Yes, increasing bicycle options, creating dedicated bicycle boulevards, and funding the process is important to San Diego, and would carry my support through implementation and funding. 7) If you have one, share a favorite cycling memory ­ and let us know how it shapes your desire to see safe streets in San Diego for all residents, across generations? When I lived in Washington with the US Navy, I bought my first home which was about 5 miles from the base where I was stationed. I would ride an old mountain bike to work almost every day down the street with a great view of Puget Sound. It woke me up every morning, and was a relaxing ride home after a long day. I would love for the same ease of bike access to make it’s way into the lives of families everywhere here in San Diego. 8) Finally ­ If elected, will you commit to meeting with BikeSD representatives on a regular basis to continue the dialog around improving all D7 neighborhoods, and making San Diego the world’s greatest city for cycling? I’d look forward to working with BikeSD and be happy to meet in-­person, in the community, on a regular basis. The recreational opportunities in D7 are world­-class, and the importance of cycling as transportation is only going to increase. Our board sent questionaires to candidates running for city council and we will be posting their responses here. 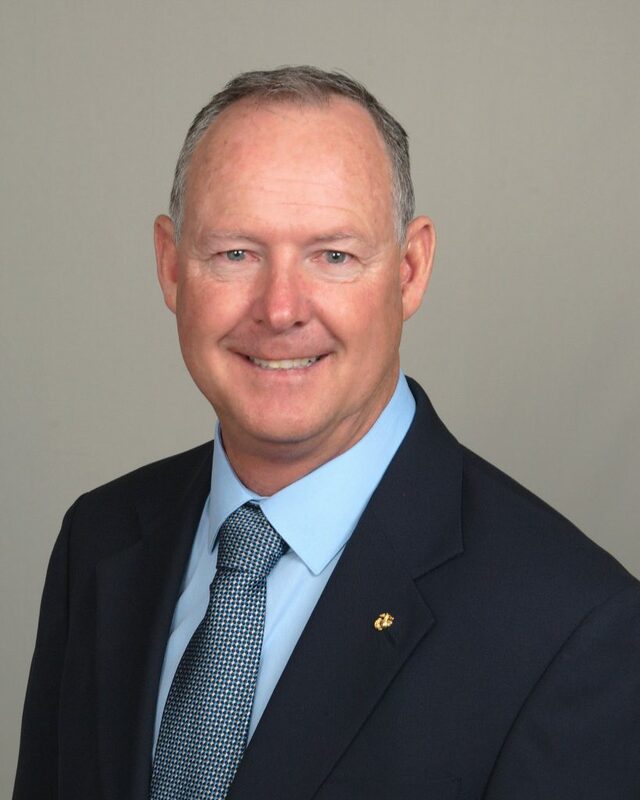 Keith Mikas is running against Mark Kersey to represent City Council District 5. I would like to see the ARB (Air Resources Board) extend its current rebates for commuter or folding bicycles. This rebate would be income based for the purchase of the cleanest form of transportation bicycling. Cycling is a community builder since cyclist stop at local business for coffee when riding on the coast highway. When we ride on old 395, we stop at the Welk Resort to eat and purchase water. Now we need to start weekday cycling commuter groups to highlight their presence. The already existing bicycling route on Mission valley or Carmel Valley will be a vibrant cycling community. I believe that I’m the only candidate for City Council who is pledged to ride his bike one day a month to work. With all the current talks about San Diego’s climate action plan and SANDAG plans of eliminating cars from the road and getting more people to carpool, those in office have to make a strong point and show the citizens that they are also committed to this. Bicycling corridors are one approach. I would like to see the elimination of bike routes, and make these dedicated to BIKE LANES. With more bikes on the street motorist will be aware of bikes, which in turn shows that roads are also made for bicycles and might slow motor vehicles down. PSA ads of informing motorists about bicycle deaths, which could be placed on buses would slowly raise awareness. 3) Given the myriad of competing interests in D5 neighborhoods, how will you handle individuals and groups, alike, whose interests and actions run counter to the City’s transportation and street design goals as laid out in the Climate Action Plan, and Vision Zero initiative? This is the matter of competing interest about how the portion of the Transnet Tax to be allocated and dedicated to the automobile vehicles and bicycles fairly and equally. As a matter of fact, bicyclists are also taxpayers of the road and contributors of the cleaner environment. They should be entitled to claim the portion of the road for their safety. SD C.A.P. and vision zero initiative should be included in any time a street or road is resurfaced or maintain going forward, with bike lanes being added or if it’s a major construction project build dedicated protected bike path just like we did include a sidewalk for pedestrians. How to create and elevate the atmosphere of flourishing business? Through people’s walking and interacting one another! The Inland Communities just have to look to the coast for inspiration such as Seattle or other cities active in cycling, where all the unique and neat stores are so alive, and the close and healthy interactions between people in the community are so real. That’s possible through encouraging people to cycling. When we have greater density, business flourish and people walk and car slow down. Consequently motorists and business owners see cyclists as a group to covet new customers. We can start at the DMV, add more cycling safety vs. Automobiles in the driver’s education. Along with a small fee to offset the price for underserviced communities to acquire helmets for children and their families. Yes, I will support the San Diego Bicycle Master Plan Update (Funding can be found at all levels of government. The city would need to have the Bicycle master plan tied to major road construction projects, so that there is more available fund for the projects, because bicycles are human power motor Vehicle). A few years ago my son and I participated in Rancho’s Y’s RAC “Ride across California” - a weeklong bicycling trip from the California Arizona border to Encinitas Beach. This was a tremendous growth experience for my son, who could barely do one lap of Miramar Lake 5.1 miles when we started out. When we reached Encinitas going down Coast Highway, I was crying because I was so proud of my son who was still doubting himself that he can do it, but he was able to do it. I know many parents would have the same feelings as I did, being proud of a tremendous accomplishment of your own child at such a young age. I only wish more of San Diego’s residents could participate in such an event. 8) Finally ­ If elected, will you commit to meeting with BikeSD representatives on a regular basis to continue the dialog around improving all D5 neighborhoods, and making San Diego the world’s greatest city for cycling? As a cyclist, I would be committed to meeting with Bike San Diego representatives on a regular basis. I do pledge again that if elected for San Diego City Council, I will ride my bike to work at least once a month. Our board sent questionaires to candidates running for city council and we will be posting their responses here. 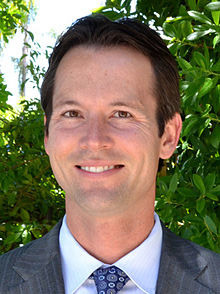 Mark Kersey is running to keep his current city on City Council District 5. Mark Kersey. Photo via Kersey's website. San Diego’s transportation infrastructure is the foundation of our City. Whether cycling to work, school, for fun or exercise, we need to make sure our bike paths are safe and well maintained. Encouraging alternative forms of transportation will not only help reduce traffic and our carbon footprint, but will ultimately put less stress on our roads. We need to stick to the three E’s of Vision Zero: Education, Engineering, and Enforcement. As Councilmember, I will continue to advocate for increased enforcement of all the traffic laws that are set up to keep our drivers, cyclists, and pedestrians safe. I will also work with our Public Works Department and Streets Division on finding engineering solutions to our most accident prone corridors. And as a City, we need to be educating drivers, cyclists, and pedestrians on how to stay safe on our streets and sidewalks. I believe we need to empower local businesses to make these decisions, and then make sure the City’s bureaucracy doesn’t get in the way. If a group of local businesses wants to remove street parking in favor of a bicycle corral, parklet, an electric vehicle charging port, or for any other approved function, it should be a straightforward and simple process. Since I took office in 2012, I have consistently advocated for more resources for investment in our infrastructure. To date, I believe the decisions made by this Council and our Mayor have been a boon for infrastructure and alternative transportation. We are building and repairing more sidewalks and streets than any time in recent history. My plan is to double down in the coming years to make sure this level of attention and investment in our infrastructure isn’t a passing fad. Yes, although I would like to see even more bicycle only cycle tracks in the City of San Diego than what is called for in the 2011 San Diego Bicycle Master Plan Update. Cycle tracks are the safest form of bicycle infrastructure, and should be utilized alongside more high­-speed corridors. Since I have been in office at least 5 pedestrians in my district have been killed in biking and traffic related accidents. In many of these cases, the accident might have been prevented by a more robust biking and pedestrian­based infrastructure investment. These memories are not my favorite, but they are what shape my desire to see safe streets in San Diego for all residents, across generations. We must support increased investment to prevent these tragedies from happening again. Of course ­ I look forward to our continued dialog on making San Diego’s transportation infrastructure the envy of the world.